Learning how to write an executive summary is no simple task. An executive summary is a short piece of writing that summarizes a business research paper. It allows an executive to determine, in a very short amount of time, things such as: whether the business research paper is worth reading in its entirety, what the basic points are, and what the conclusion is. While an executive summary does notin and of itselfhave enough information on which to base any definitive action, it gives the reader a good sense of the topic so that if there's a reason to read further, the document being summarized can be scanned for facts, statistics, and details relevant to whatever is being discussed or considered. One common situation in which an executive summary essay is used is when you're completing a business plan to show to potential investors. Because the amount of time that investors have to look at your proposal is limited, they will expect an executive summary when you present your business plan so that they can prioritize your plan on their list of reading, and quickly determine whether or not the plan you have devised is something that they should devote further attention to. An executive summary is the most carefully written part of your business plan, and should be perfectly clear. 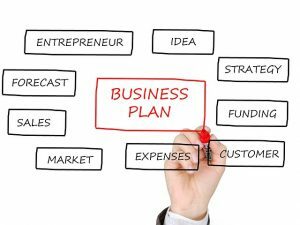 Any kind of advanced details regarding the topic should be left to the business plan itself; an executive summary is simply a kind of outline to give a sense of the contents of the plan. The executive summary should always be one page in length or shorter. It should be possible to read the executive summary in less than a minute and understand the overall business plan. To get started with your executive summary, introduce the industry at which your business is targeted, describe the niche in the market that your business plan is designed to cover, and/or identify the problem that your plan is designed to address or solve. It is important to give the reader a sense of the other solutions that have been offered for the same problems during your overview of the market. Explain how other companies have developed approaches and how the approach for your company will have an advantage over theirs. As in the business proposal itself, you should be able to demonstrate through your research and with solid reasoning how the report that you have devised is superior to others and the one that money should be invested into. Again, don't give examples or detailsthose are saved for the backup materials such as the plan itself and the appendices. Also, keep in mind the specific audience that you're writing the executive summary for. If the summary is being written for investors, you should give them a sense of the kind of return expected on their investment and what kind of time frame you're giving them for an exit. If the summary is for a plan that will have internal use, it should explain how company goals will be met by carrying out the plan. Keep things simple, and know your audience, and your executive summary will be able to meet its intended goal. The aim will be to completely satisfy the target market which includes the residential and commercial residents in Auckland. IDC Interiors complement the interior design structures by not just providing a sense of aesthetic distribution of space but also offer services that will optimally use furniture, fabric, electrical and heating structures as well as accessories (Schultz et al., 2000). ¶ … business plan for an imaginary software company, Techno soft which aims to enter South Asian market as a part of its international business expansion strategy. The paper is divided into different sections. The first section presents an ample introduction to the company; its location, products, mission, vision, and strategy, the source of competitive advantage, and the nature of business opportunity which it wishes to avail in the new market. The second section presents environmental and industry analysis of the firm using different tools; like PEST Analysis, Five Forces of Competition, CAGE Model, and future outlook. The third section is dedicated for the marketing plan of the company which describes the company's target market and marketing mix strategies. Therefore, CleanDivision will have to set new international strategies while setting up its business in new geographical locations.